The latest edition of Domotex Hannover, held from 11st to 14th January in the German city of Hannover, got back together companies and customers from all over the world. According to the organizer of the event, Deutsche Messe, more than 1,400 exhibitors from around 60 countries participated. As usual, in the different halls you could find manufacturers, designers, wholesalers, retailers… This year, in addition, highlighted the great number of architects and interior designers. The fact of coinciding with BAU (the World’s Leading Trade Fair for Architecture, Materials and Systems), which takes place every two years in Munich, saw the number of visitors diminish, although the exhibiting companies coincide in the quality and importance of the attendees, with great power of decision. The main motto of this year, Create’N ‘Connect, advocated precisely the opportunities that the event brings to all attendees to be able to do business with companies from any part of the world. 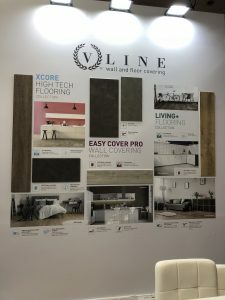 VTC attended for the second year with the intention of meeting customers, presenting their novelties and looking for new distributors for their floors and wall coverings. The booth was also present by V-Line, the most recognized brand of its European distributor, Euro Trade Flooring. Among the novelties presented, the highlight is the new collection of wall coverings, with XL format. 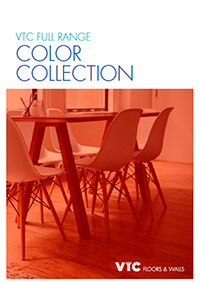 The patented Wall Solution and XCore flooring with their wide variety of designs and formats were also not missing. V-Line brand presented to the European market its new Living Plus collection, a WPC with unbeatable features and 7 unique designs. Outstanding its format, adapted to the current trend of betting on the XL. 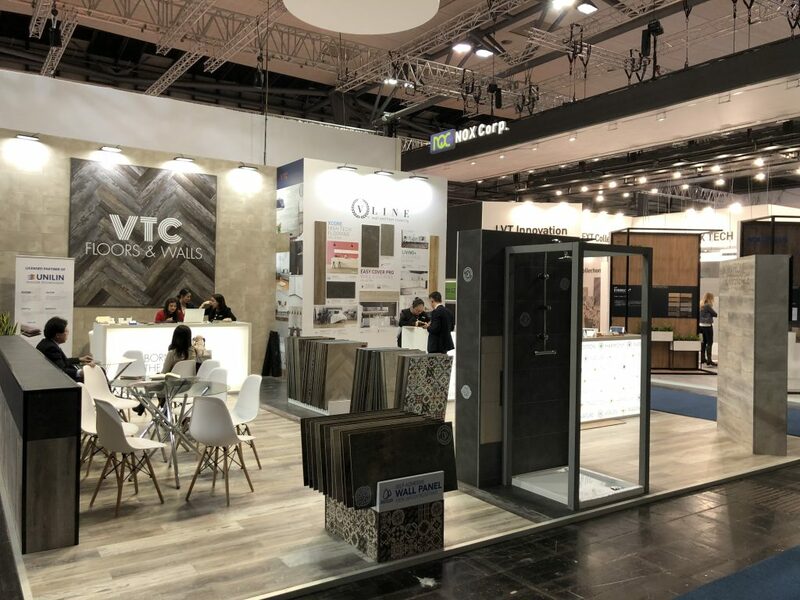 Few days after Domotex Hannover, VTC team travelled to Las Vegas to participate, one year more, at SURFACES, one of the three events integrated at TISE (The International Surface Event). The other two are StonExpo/Marmomac and TileExpo. There, VTC presented a booth, with similar characteristics to Domotex Hannover and showed its novelties to the American market. With this initiative to go to Las Vegas, VTC reinforces its intention to be present in this continent with its patented products. From VTC, we conclude with a positive balance thanks to the quality of visitors in both fairs and we hope to have fulfilled their expectations. The next event where you can find us will be at Domotex Asia, located in the city of Shanghai from 26th to 28th March, we wish see you there!